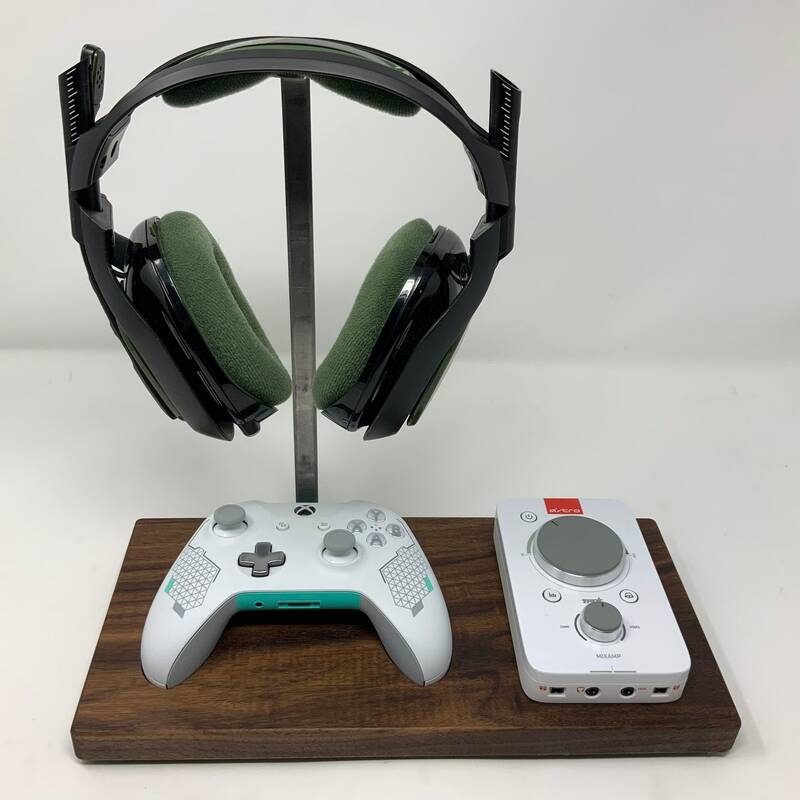 Introducing the gaming controller and Astro Mixamp holder - supports Xbox One , Playstation 4 & Switch Pro controllers. 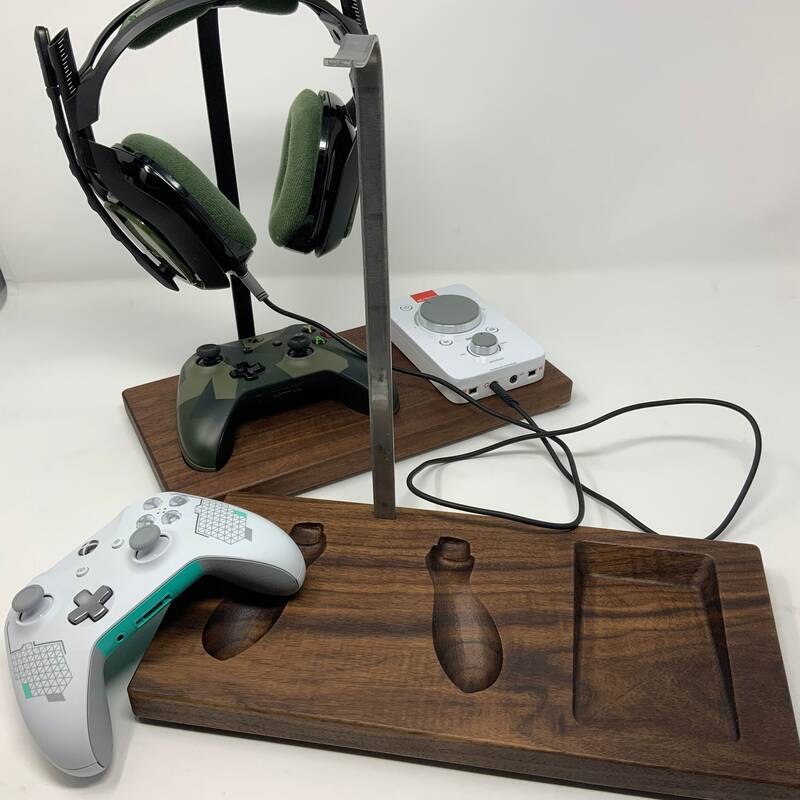 This transforms our popular controller holder into so much more! Headset hanger included! 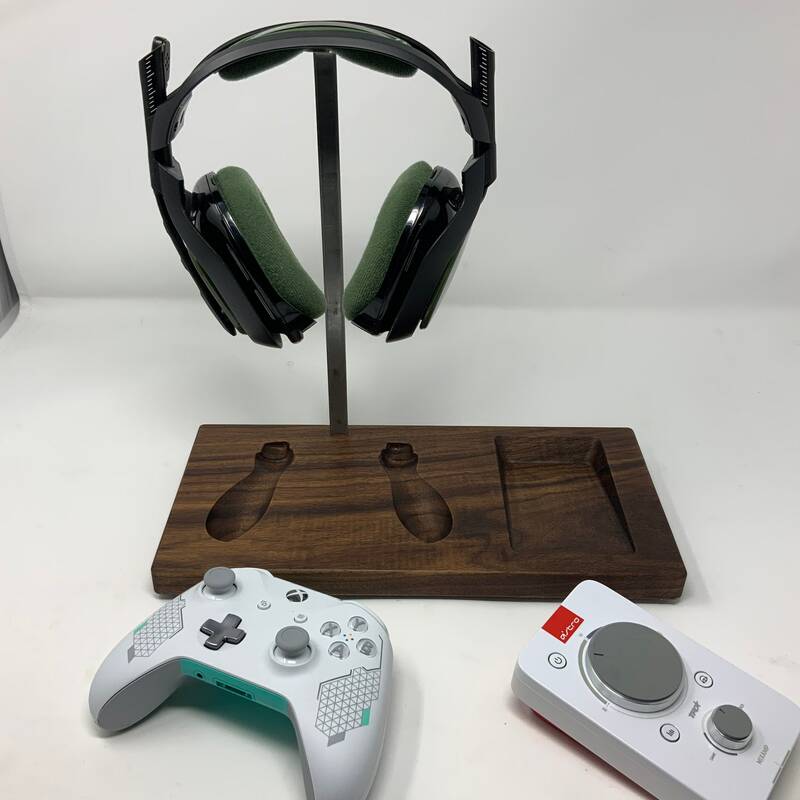 Who doesn't want a stylish way to organize (and display) your controller, headset and Mixamp. 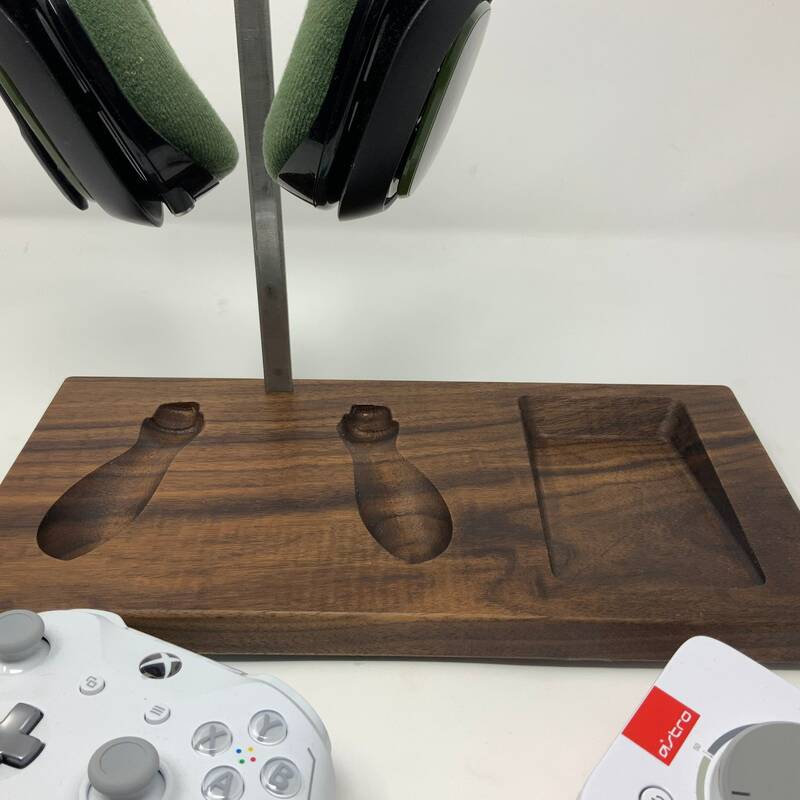 Each tray (approx 13"x6") is designed to hold 1-controller for either your XBox One, Xbox One Elite, Xbox 360, PS4, Nintendo Switch Pro controller, or XBox DUKE, and mixamp. Only Flat/Rimless available on this configuration.